The flu vaccination is your best shot at avoiding the flu this winter. Here's why you should speak to your GP about getting one. Influenza is one of the unpleasant realities of the cooler season. Caused by a virus, the flu usually spreads from person to person through the air by coughing, sneezing or talking, or though touching hands, surfaces or objects. For most healthy adults, the flu means a painful week in bed with a fever, headache and aching joints – but in some cases it can be more serious, and even fatal. Protecting yourself against the virus with a flu shot at the start of each winter is advisable for all Australians. 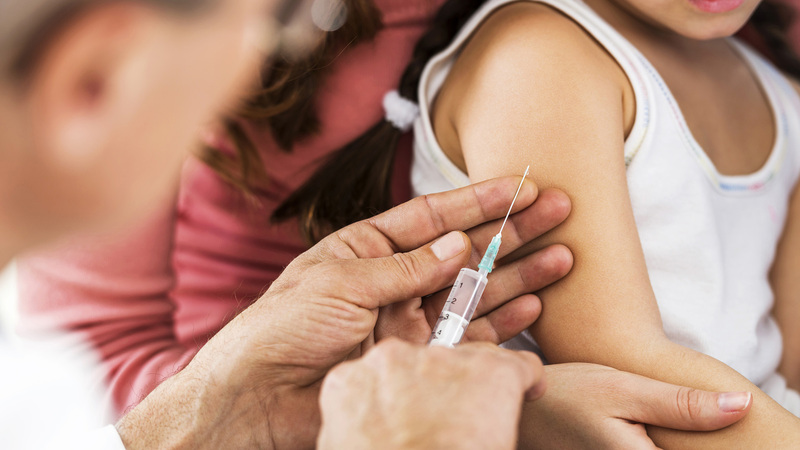 For those with a higher risk of complications from the flu (such as the elderly, young children, people with certain medical conditions including diabetes, and those who are pregnant) the flu vaccine is particularly important. The flu vaccine is made from influenza virus that has been specially grown, killed (deactivated) and purified. The vaccine tricks the body into thinking it has been invaded and stimulates the immune system to act. The body then creates antibodies; proteins that recognise and fight off germs. This means if you catch the flu virus after you have been immunised, your body will recognise it and be able to immediately produce the right antibodies to fight it. It may take up to two weeks for your immunity to build up fully after you have had the flu vaccine, which is why it’s recommended to get your shot early on in the cooler season. This is one of the biggest myths about the vaccine. There is no live virus in the shot, so it can’t cause you to get the flu. A small percentage of people may experience side effects such as fever and headache that mimic flu symptoms, but these effects are usually mild and should resolve themselves within a few days. Generally, any reactions will occur within a few hours of vaccination and last no longer than 24 to 48 hours. Remember, the flu shot can take two weeks to become fully effective, so you can still catch the flu in that period – but the vaccination itself will not be the cause. You need a new flu vaccination each year because immunity decreases over time, and the composition of the vaccine changes from year to year to protect against the strains that research indicates will be most common during the upcoming season. people with diseases of the nervous system, diabetes and some other medical conditions.